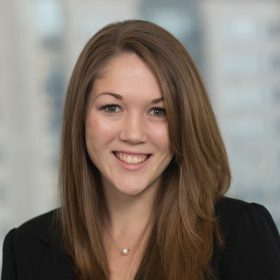 Emily Schmidt is a manager in the Business Valuation Services division at VMG Health and is based in the Dallas office. She specializes in providing valuation, transaction advisory, and operational consulting services to businesses within the healthcare services industry. Ms. Schmidt’s experience spans numerous healthcare sub-industries. Specifically, she has significant experience with acute care hospitals, ambulatory surgery centers, physician groups, urgent care centers, home health and hospice agencies, diagnostic imaging centers, radiation therapy centers, and several other ancillary healthcare businesses. In addition, Ms. Schmidt has performed numerous managed care reimbursement comparison analyses for various clients. Ms. Schmidt graduated from Mays School of Business at Texas A&M University with a Bachelor of Business Administration in Finance. She currently holds the Chartered Financial Analyst (CFA) designation through the CFA Institute.